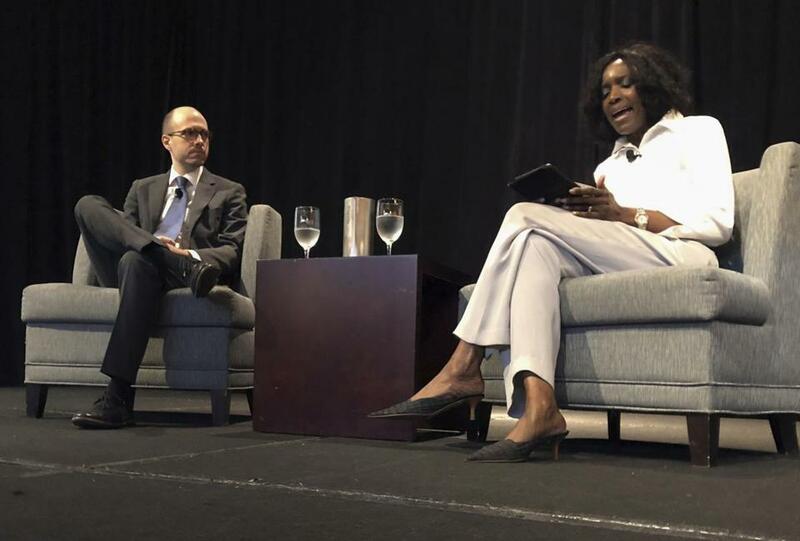 New York Times publisher A.G. Sulzberger, left, and Nancy Ancrum, editorial page editor of the Miami Herald, addressed attendees at an Associated Press Managing Editors conference in Austin, Texas, on Tuesday. Sulzberger wouldn’t reveal any details about the author. Trump has called for the newspaper to turn over the name and says the US Justice Department should investigate. Sulzberger says the newspaper didn’t think there was a way to get the information out there without ‘‘some guarantee of anonymity.’’ He said Trump’s reaction underscores why the newspaper thought that was important.